ALTERRA WORLDWIDE COPYRIGHT 2015. ALL RIGHTS RESERVED. We are the next generation of commercial real estate developers. Adaptive and energetic, we are global thinkers and calculated risk takers who value relationships with our communities. 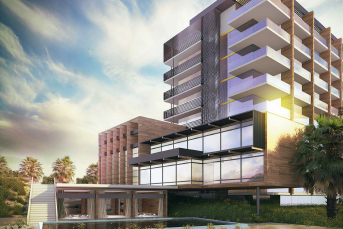 Our projects deliver a lifestyle where people live, work and play seamlessly. Just like the clientele our projects serve, we live big and do it all! Our vertical integration allows us to offer full-service attention to our stakeholders, ensuring that everything from concept to the final finishing touch matches our dedication to uncompromising innovation and excellence. Our holistic approach is achieved in three broad areas. We put our money where our mouth is. The principals of Alterra Worldwide own and operate properties in office, residential, retail, and hospitality sectors. By being financially vested in our properties, we take pride and accountability for every aspect of our projects. High performance living assumes high standards. From concept, entitlement, design, architecture, branding, construction, public-private partnerships, and evaluating alternative financing, we do it all and we do it right. Big vision requires detailed implementation. 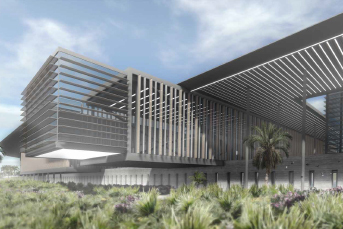 Our own consortium of artisans, laborers, technicians, designers, architects and engineers maintains quality control throughout the entire Development Cycle. From mobilization to turn-over and design development to branding, Alterra Worldwide delivers the goods. Our integrated services are the backbone of the value we bring to any market we penetrate. We manage from the bottom line but deliver beyond expectations. From day to day operations to visionary trailblazing, Alterra Worldwide’s team is immersed every step of the way ensuring everyone’s stellar success. We love what we do and so will you! We are owners, developers and contractors who create spaces to live, work and play. We make integrative living happen. To pioneer our integrative lifestyle development projects in emerging markets across the world, making a difference economically, culturally and environmentally. To develop inspired spaces for people to live, work, and play. With an extensive experience in leading and directing major domestic and international infrastructure as well as real estate development projects, Mike Sarimsakci is responsible for ﬁnancial and real estate development activities for Alterra Worldwide, LLC located in Dallas and Istanbul. Over the past 20 years, Mr. Sarimsakci has worked on real estate projects worldwide with a strong track record of completing infrastructure and real estate development projects on time and on budget. Currently, as the Founder & President of Alterra Worldwide, LLC Mr. Sarimsakci is responsible for development and construction of projects that oﬀers superior returns to investors. His formula is simple "$ 1 million to $ 5 million in 5 years. He has been able to deliver on this premise. 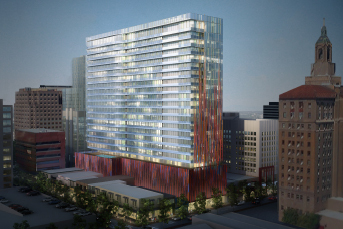 His latest project is a 65,000 square meters of mixed use development which consists of 238 residences, 274 key Marriott dual branded hotel and retail space in the heart of downtown Dallas slated to open in April 2016. 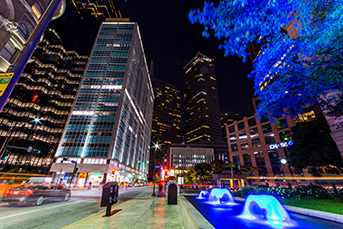 Another recently completed project, Alto 211 is an 18 story oﬃce tower, known as the “Tech Mecca” of Downtown Dallas is set in the vibrant city center district and brings urban lifestyle and modern business culture to the entrepreneurial community. Alto 211 is the headquarters to such renowned tech companies such as Tech Wildcatters, Health Wildcatters, Traxo, Velocis, Launch DFW and Fort Work coworking space. Throughout his career, Mr. Sarimsakci has been actively involved in development projects on an international level. Most recently, Mr. Sarimsakci was the guest of the Panamanian government to explore public private joint venture development opportunities in Panama. He advised to President of Niger to increase FDI into real estate projects in the region. Before joining Alterra Worldwide, LLC, Mr. Sarimsakci was the Managing Director of Polidev International, LLC. With Polidev, Mr Sarimsakci was responsible for real estate development projects in the Americas. Prior to his re-development activities in the Americas, Mr. Sarimsakci was with AECOM as Vice President in Saudi Arabia and later became a Board Member with Ibra Holding in Azarbaijan. With Ibra Holding, Mr. Sarimsakci has established corporate policies and procedures while successfully managing 1.5 billion dollar Baku Yoo Real Estate Mixed use development in addition to managing 100 hectars of industrial development project in Romania. Mr. Sarimsakci started his career with Bechtel in San Francisco where he was a Construction Manager and a Civil Engineer for two massive park projects in Dubai and Euro Disney. During his time with Bechtel, he was in charge of design and site development of projects and was awarded for his outstanding performance. Followed by Bechtel, Mr. Sarimsakci became the CEO of BSG Development in San Francisco where he was responsible for all proﬁt and loss as well as all business operations. During his time with BSG, Mr. Sarimsakci managed industrial and commercial development and worked on construction and redevelopment projects where he was recognized with prestigious awards by the City of San Jose, City of Santa Rosa, City of San Luis Obispo and City of Monterey for innovative design and development of various projects. Mr. Sarimsakci also served as a Senior Consultant at Ben C. Gerwick in San Francisco. His responsibilities included management of IHNC storm protection project in New Orleans with a capital of 1.2 billion dollars, the largest project United States Army Corps of Engineers has ever undertaken. He also successfully participated in tender design eﬀort for Panama Canal bid with a capital cost of 5 billion dollars. Mr. Sarimsakci is currently working towards an executive degree for Advanced Management Development Program in Real Estate (AMDP) at Harvard University to be completed in 2017. 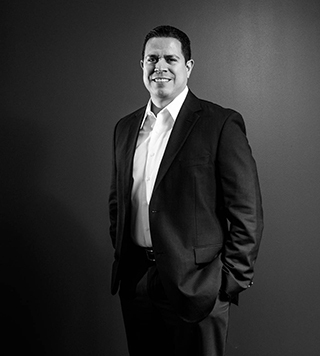 Mr. Quesada has over 20 years of experience in ﬁnance and real estate, having executed and managed nearly $2.0 billion in real estate transactions across all asset classes including Mixed-Use, For-Sale Residential, Multifamily, Retail, Office, and Hospitality. As Director of Investments and Development, his responsibilities include the oversight of acquisition, development, ﬁnancing, and asset management for all of Alterra Worldwide’s investment activities. Recently, Mr. Quesada was Principal at Fides Capital Management where he established a real estate investment fund focused on making direct investments in distressed real estate and senior loan portfolios, providing high yielding senior loans to quality sponsors for real estate acquisitions, re-ﬁnancing, and re-capitalizations. Prior to Fides Capital Management, Mr. Quesada was Vice President at Canyon Partners where he was responsible for sourcing and managing new equity and debt investment opportunities. He also oversaw existing investments in the west coast and Florida urban markets for the Canyon-Johnson Urban Fund. Prior to joining the Canyon Partners, Mr. Quesada was in the investments division at CIM Group. While at CIM Group, Mr. Quesada executed development and third-party equity and debt joint venture investments for the CIM Urban Fund and acquisitions for the CIM Urban REIT across all real estate asset classes throughout the USA. Additionally, he managed third-party sponsors and internal project managers to ensure that best practices were employed and each investment progressed in accordance with its business plan. Prior to CIM Group, Mr. Quesada was in the Investment Banking Division at Goldman Sachs and Co. While at Goldman Sachs, Mr. Quesada analyzed the strategic rationale for potential acquisition opportunities in the biotech and telecom industries and developed ﬁnancial models to value acquisition targets. Mr. Quesada began his career in the Finance Division at The Walt Disney Company. Mr. Quesada is a graduate of The Wharton School of Business at the University of Pennsylvania (BS in Economics) and the Stanford Graduate School of Business (MBA). 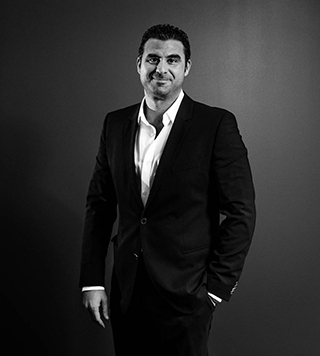 Emre Terazi is the Director of Construction for Alterra Worldwide Holdings. He is overseeing the preconstruction and construction operations in Dallas for Butler Brothers Building, a 635,000 square-feet mixed-used development consisting of 238 residences, 278-key Marriott Hotel and retail space as well as Alto 211 Project, a 180,000 square-feet oﬃce re-development transforming a Dallas historic landmark to a new hub for hightech tenants. 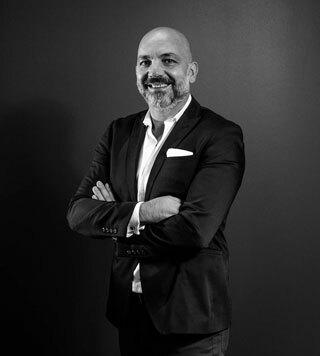 Emre brings 15 years of experience in construction industry with recent experience in high-rise residential, hospitality, large-scale capital projects and design/build private projects. 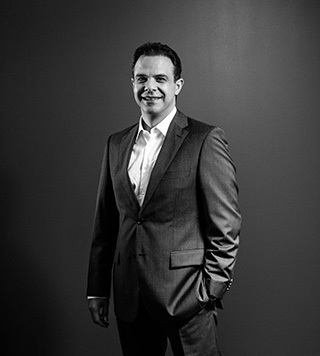 Prior to joining Alterra Worldwide Holdings, Emre had been a shareholder and part of the upper management team at Swinerton Builders, one of the largest General Contractors in United States since 1888, where he successfully managed average of $220 million worth of public and private projects annually for over 11 years. Emre has been rewarded by a steep career growth in United States by turning low margin competitively bid public projects into enhanced proﬁt centers for his Company. As a result, Emre became the youngest shareholder of Swinerton Builders among 1400+ employees at age 28. Emre is particularly skilled in his thorough knowledge of construction practices, risk and claims management, building codes, scheduling, budget preparation, contract negotiation, cost control, value engineering and several project delivery methods including design-build and lease back. Some of his projects include Metropolitan Lofts in Los Angeles, a high end 264-unit apartment complex across the street from Staples Center. $120MM Cedars Sinai Hospital expansion, Southwest Airlines Terminal 1 build out at Los Angeles Airport, 10000 Santa Monica $176MM 44story high-rise building in Century City. Emre Terazi holds a BS in Civil Engineering from Yildiz Technical University and an MS in Construction Engineering and Management from Stanford University. Mert Göktürk is a shareholder and Board member of Alterra Worldwide since 2011. He started to work as a Field Engineer in Tyumen/Russia continued to his graduation from Karadeniz Technical University as a Civil Engineer in 1995. Mert Göktürk managed a furniture factory operating above an annual profit of 2 million USD between 2000 and 2002. Following to his work at Moskva-Krasnye Holmy as Operations Manager, he started to work in Capital Partners as Project Leader in 2007. During his work at Capital Partners, he lead the projects, Sary Arka Shopping Mall, JW Marriott Hotel and Esentai Shopping Mall in Almaty; Ritz-Carlton Hotel and Haileybury English School in Astana. He was one of the four founding partners of Alterra in 2009 where they have successfully delivered several projects in hospitality, residential, retail, and office in Russia, Kazakhstan, Tajikistan, Iraq and Turkey i.e. Danone Diary Plant, Serena Hotel Dushanbe, Nef projects, Louis Vuitton, Saks Fifth Avenue, Chimbulak Ski Resort etc. 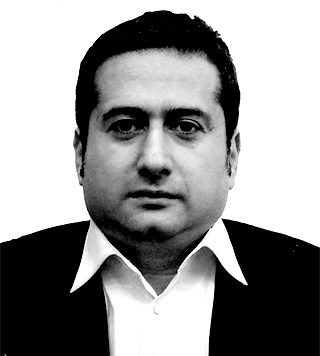 Semih Tavlı is a shareholder and Board member of Alterra Worldwide since 2011. He brings over 20 years of trading experience within the asset management and alternative investment business. He was CIO of the DUET Central Europe Opportunities Fund between September 2009 and May2012. He previously worked as the CIO of Zorlu Holding Family Office, where the majority of funds were invested in Eastern Europe and Global Emerging Markets. From 2001 to 2006 he was the Director and Founding Partner of Cougar Asset Management in Malta. The company specialized in alternative strategies (Emerging Markets, Equity, Systematic Trading, Fund of Funds) whereby the trading side of the business was led by Semih. Prior to that he was a proprietary trader at Chase Manhattan Bank in London. He worked as a Senior Vice President in the Treasury department of Garanti Bank in Moscow where he was a Member of the Board of Management. In 1991 to 1996, he worked as Vice President in the Treasury department of Société Générale Group in Istanbul. His outstanding performance during the 1994 Turkish currency crisis resulted in a promotion to trading the overall CIS region (Russia, Ukraine, Baltics, etc). Semih has a B.S Degree in Industrial Engineering from Boğaziçi University in Istanbul. Michael Sauer is a shareholder and Board member of Alterra Worldwide since 2011. 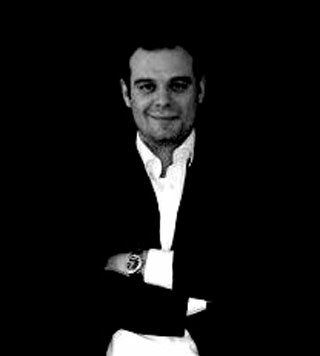 With more than 20 years experience in emerging Markets, primarily Russia/CIS but also India, within the financial sector, ranging from Equity trading to Private Equity/Venture Capital, Michael Sauer is now a Partner and a MD at Visor Holding, one of the largest Private Equity Investors in Central Asia. He also sits as the Chairman of Visor Capital LLP and as a Board Member of Telia Sonera Asia Holding. Yusuf Sarımsakçı is a shareholder and Board member of Alterra Worldwide since 2011. He is a Managing Partner responsible for providing commercial leadership, business development and for maximizing the value of each individual project. 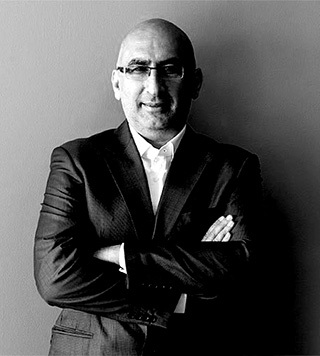 Prior to founding Alto, Yusuf worked as Managing Director at Capital Partners, a privately held real estate development company, first in Moscow, Russia and later in Almaty, Kazakhstan, where he was responsible for strategy, business development, partnership agreements as well as operations. 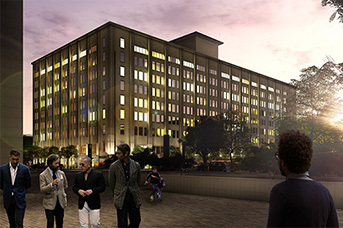 During his tenure with Capital Partners both in Moscow and Almaty, Yusuf developed projects such as The Ritz-Carlton Moscow Hotel, Metropolis Mixed-Use Development, Pushkino Logistics Park, the Almaty Financial District, Esentai Tower Mixed-Use Development, and the Chimbulak Ski Resort. These ventures were in addition to planning and finishing various other projects totaling over 1,500,000 square meters. Prior to joining Captial Partners, Yusuf served as Deputy General Director of Mosenka, a subsidiary of Enka Holding in Moscow, where he was responsible for marketing, tenant relations, operations as well as finance. While at Mosenka, Yusuf managed over two hundred lease agreements with most of the Fortune 500 companies active in Russia. Over the years, he developed a deep understanding of how to build global brands and develop enduring and mutually beneficial relationships with customers. Yusuf Sarımsakçı holds a Masters’ degree in Structural Engineering from Stanford University , and received a Bachelor of Science degree in Civil Engineering from Colorado State University. He is fluent in English, Russian, and Turkish. 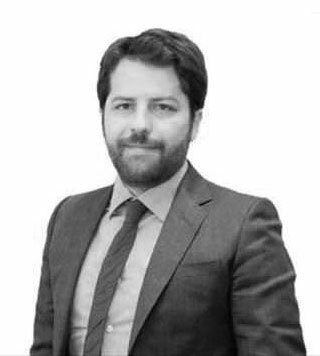 Mete Göktürk is a shareholder and Board member of Alterra Interntional since 2011. He graduated from Moscow Architectural University worked as a Project Manager and Operations Director in MHK Enka and as a Development Director Red Square Real Estate Development. He also worked as a General Director in Cubic owner of Metropolis Shopping Mall and Office complex. Following to Moscow, he continued his work as a Development Director in Almaty/Kazakhstan and Istanbul/Turkey for Capital Partners. 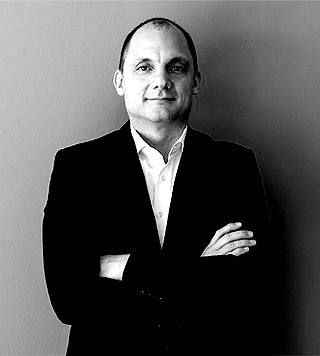 Mete Göktürk served as a Director in the hotel projects of brands like Marriott, Ritz Carlton, Swissotel in construction industry. He worked with international architecture offices like Foster&Partners, SOM, Robert Stern, Steven Hall, Carlos Ferrater. He has executed hotel management agreements with Marriott, Ritz Carlton, Mandarin Oriental and Six Senses groups. He also took role in boutique luxury residential projects as owner’s representative. Alp Göl is a shareholder and Board member of Alterra Worldwide since 2011. He is a Managing Partner responsible for business development and ensuring project execution. 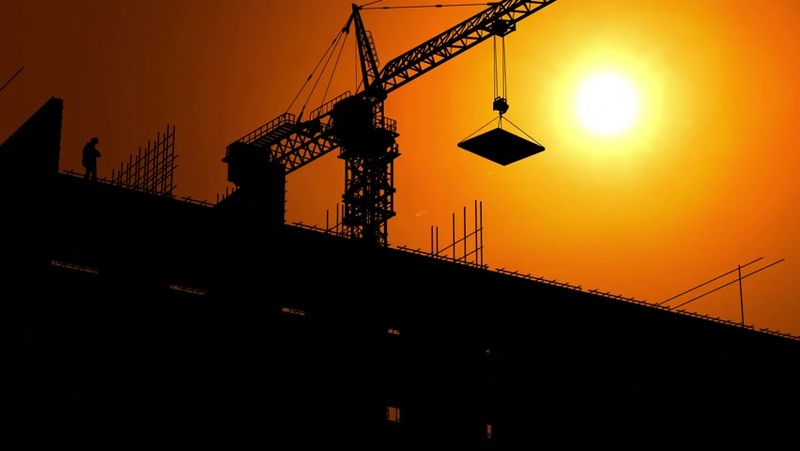 Alp has a wealth of international construction management experience gained over 25 years in the industry. Following his earlier work for Bechtel in Venezuela, which entailed mobilization of a large-scale hydro-dam project, and a variety of infrastructure projects in Boston, Alp moved to Kazakhstan. He worked on multinational and multidisciplinary projects as General Manager for Bechtel-Enka Joint Ventures for industrial and oil & gas projects, and later for Capital Partners for real estate development and construction projects in Kazakhstan. In these roles, he was responsible for the coordination, implementation, and management of projects from design to commissioning and has delivered, with success, multi-disciplinary large to mega size oil, gas, petrochemicals, industrial and real estate projects valued up to Billion and was in charge of direct manpower of 12,000 people. Maintaining ongoing productive relationships with clients and finding creative solutions to engineering and construction challenges is one of his key strategies that ensure Alto’s continued success. Alp Göl graduated from Boğaziçi University as a Civil Engineer. He also holds an MBA from Southern New Hampshire University. Alp is a member of the American Society of Civil Engineers. He completed courses in Design of High Rise Buildings at Wyoming University. Alp is fluent in English, Russian, Kazakh, Turkish, and has working knowledge of German and French. Erden Timur is a shareholder and Board member of Alterra Worldwide since 2011. He was born in Mersin in 1982 and is a member of the Nef Board of Directors. After having completed his secondary education at Tarsus American College, he obtained a degree in Law at Marmara University in 2005 as well as economics education at the London School of Economics thereafter. Erden Timur subsequently started his professional career at Timur Gayrimenkul Geliştirme Yapı ve Yatırım A.Ş. Erden Timur introduced new principles that will change the working and production approach of the sector to the real estate sector with the Nef brand that he established in 2010. He established his working approach on ‘Share the grief of others’ at the Nef brand, which was inspired from the Turkish origin of the word ‘Nefes’ (to breathe). He took as a mission the approach that allows the people to have the design as a lifestyle rather than a luxury and broke new ground with his 24 room Foldhome/Foldoffice home concept in Turkey and the world. Nef was the first real estate company to participate in the “100% Design London” fair, which is the most important trade fair in the design sector. Erden Timur, focusing on the expectations and needs of people, is rather distinct nationally and internationally thanks to his 18 discoveries (patented or patent pending). The projects developed by Erden Timur, who has attended many internationally famous media channels, including Wired with Nef brand, are today applied in Turkey and many other countries throughout the world. Government offices & Presidential Place & Prime Minister & Speaker Of the Parliament Residences. 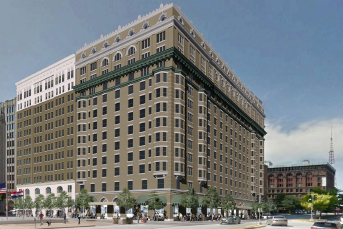 Trump hotel coming to St. Louis?